At Drain King, we offer friendly, professional service 24 hours a day, seven days a week -- call us before you dig. 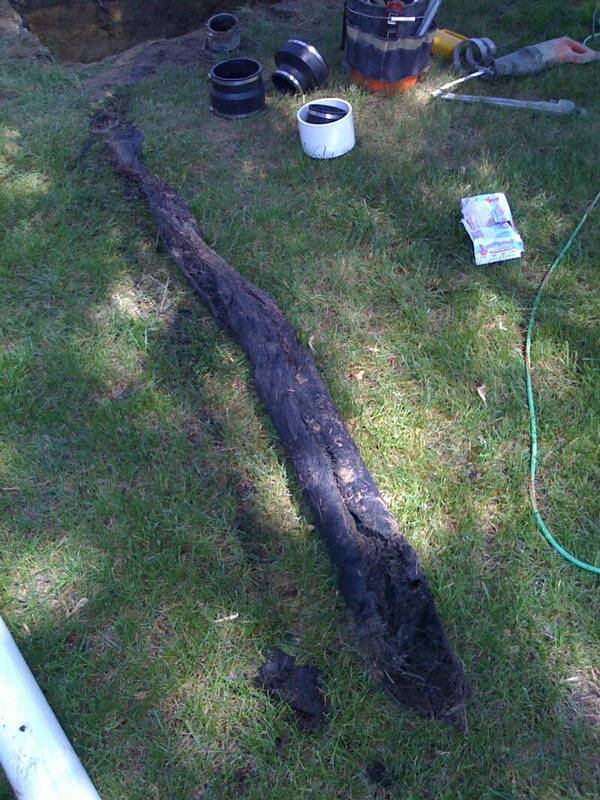 We can even show you the problem with your sewer line with our in-line sewer camera for $99. We have the answers to all your sewer questions. 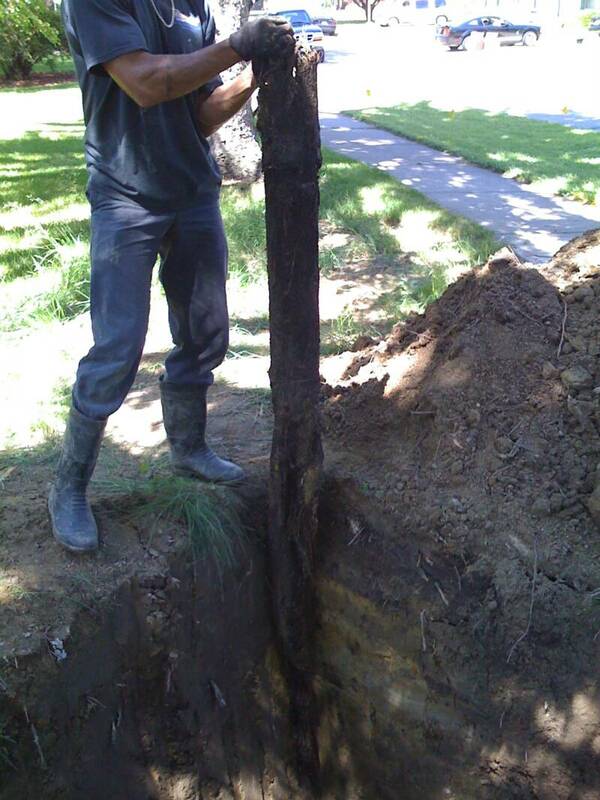 We provide free estimates anytime to help you with sewer or tree root problems. We will snake and pump your sewer lines with no hidden costs -- you even approve the price before we star tree root extraction. We offer 10% off any drain cleaning for senior citizens and U.S. Veterans. We are also offering $100 off any drain line repair or replacement and flat rate drain cleaning. If you are in need of an emergency plumber, call us anytime for a free estimate - let us help you solve your sewer problems today! These images illustrate a common problem many homeowners experience: a clogged sewer needing to be cleaned and possibly repaired. Unfortunately, this customer had to contact Drain King for an emergency plumber and this is what was found. To avoid a situation like this, proper preventative maintenance including regular cleaning and repairs need to be conducted by a professional sewer expert. Contact Drain King today!